Giants -  An epic journey of new discovery so fantastic that our natural instinct would be to block it out. The above video was recorded in 2008 and features an alleged stasis being – not a giant – discovered in the Kurdistan region of Iran. For analysis, click here. Giants that have been in hibernation in “stasis chambers” for thousands of years are awakening, and are being sought out by elite military forces, according to several independent sources. 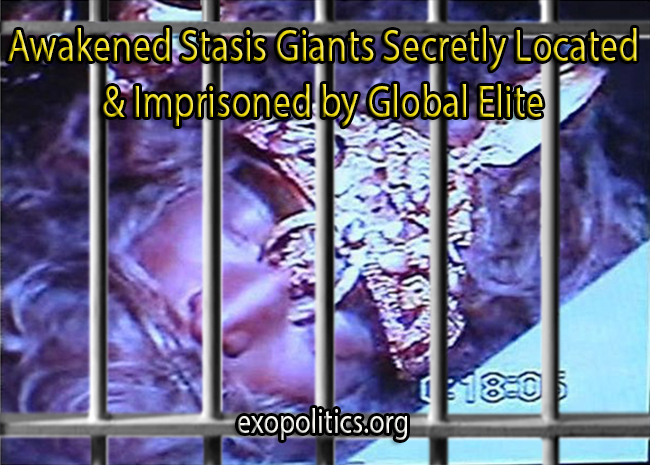 After being located, awakened giants are allegedly being captured and held hostage by powerful global elite groups that do not want the rest of humanity to learn the truth. Secret space program whistleblower, Corey Goode, was among the first to publicly disclose the existence of “stasis chambers” that were holding perfectly preserved giants for thousands of years. In an August 4, 2015 interview on the popular show, Cosmic Disclosure, Goode discussed how he had accessed information on “smart-glass pads” during his covert service about these sleeping giants and the technology of the stasis chambers that were preserving them. When I was in the program, the Secret Space Program, when I would have time to sit and look at the smart-glass pad, there was lots of information that I looked at. And one of them was that there were beings that they found underneath the surface of Earth, underneath…usually underneath mountains, burial mountains… Indian burial mounds that were not dead but weren’t quite alive. They called them “stasis beings”. Goode gave examples of stasis chambers that had been found around the world. Some were still operating with different modern human groups that had learned to use the technology, while others had been damaged and the beings in stasis had died as a result. According to Goode, once located, the stasis giants were kept hidden, and any that awakened would join others and not be allowed to interact with the general public. According to Stephen Quayle, who has written several books about giants, elite U.S. military forces have been stationed around the world, including trouble spots such as Afghanistan, to locate the giants. Quayle cites elite military personnel who have spoken about battles with the giants. Quayle uses biblical sources to support his analysis of giants and what they mean for humanity in the current era. Basically, he views them as the biblical “Nephilim”, who are the offspring of demonic entities that are hostile to humanity. The Nephilim/giants, according to Quayle, were predicted to re-emerge during the end times, and be restored to power by the corrupt global elite. Before history, giants and fallen angels ruled the Earth as gods – until mankind revolted in a colossal battle, banishing the bloodthirsty creatures. But now Joshua Kincaid has made an alarming discovery: Some of the giants are still alive, kept in secret underground caverns in suspended animation, waiting to be revived. Worse, a secret society operating outside the law is intent on bringing the monsters back to life and restoring the creatures as rulers of mankind. Interestingly, Quayle’s sources have confirmed that giants have been preserved in “stasis chambers,” for extended periods, and are now awakening. This is consistent with what Goode discovered on the smart-glass pads. However, Quayle’s view that the giants are bloodthirsty “Nephilim” ready to work with the global elite to restore demonic control over the planet does not correspond with what Goode read on the smart-glass pads. According to Goode, the motivations of the giants were far more complex than what Quayle was suggesting. Giants belonged to highly evolved civilizations in human history who had preserved themselves in stasis chambers to sleep through the dark ages of humanity. Their awakening was a sign that we are on the verge of a global shift, and many of the giants want to play a constructive role in this transition, rather than simply reassert control over surface humanity. sis giants,” and how they are being found and treated by covert special forces personnel. “Cobra” (a pseudonym) claims to be both an extraterrestrial contactee and an operative for a global resistance movement that dates back to 1975, when it was first established in the underground tunnels of New York City. While there is controversy over Cobra’s identity and activities, he has released much information that is very accurate in terms of my own independent research into secret space programs and visitation by extraterrestrial life. His information, therefore, deserves careful consideration. I will consequently leave an examination of the controversy surrounding Cobra and what this means given the accuracy of his claims, for a later article. Richard – Thank you. There are many reports of dormant giants being discovered and awakening in caverns around the world. Are these claims accurate? COBRA – Yes, some of those claims are accurate. Those giants are put into stasis in special chambers which are triggered by a certain vibrational frequency. I would say certain intensity form of sub-atomic particles and energies from the galactic center which is the earth, those chambers get triggered and those beings then are then awakened from hibernation and many such cases have been taking place lately around the world. Militaries of most countries or shall we say of the major countries have been suppressing that from the mass population. And whenever that happens the military went there and just suppress the whole thing. And yes it was happening quite much lately. Richard – That’s amazing. Are they a positive nature these giants? COBRA – Most of them yes, but some of them no. Richard – Why are they waking up now? Because of the galactic central sun’s activity. COBRA – Because …. they went into those chambers. They didn’t want to wait for a change. They have put themselves into hibernation to spare…. so not to wait too long on this planet and now when the change is happening they have interest to take part in this change. But they were not expecting that the surface population will be taken hostage to such a great degree and now they are taken hostage by the Chimera group. The Chimera group, according to Cobra, comprises global elites that are demonic in nature. This is consistent with much witness testimony that many groups of global elites practice various forms of demon worship. It is therefore very plausible that some of the giants might have been co-opted by the global elite in a plan to exert greater global control. In contrast, Quayle believes that the global elite see the giants as their demonic gods, and are therefore helping restore their rule. Quayle’s analysis is therefore only partially correct. Richard – What was their actual function? What is these beings …. what is the function to wake up in this time period to do within this time of the planetary liberation process? COBRA – They wanted to participate in the shift. They have various agendas. Some of them were quite positive and some of them not so positive. But they were not expecting that the amount of control and suppression on this planet would go that far. All of them were captured and are now actually hostages in the various militarily bases around the world. This huge vibratory change in our Solar System. This change – supposedly we’re changing from – graduating from one density to another. We’re in transition. So if this is true and these beings are awakening, and they set their selves to wake up during this time period, I could only speculate that they wanted to be part of that. 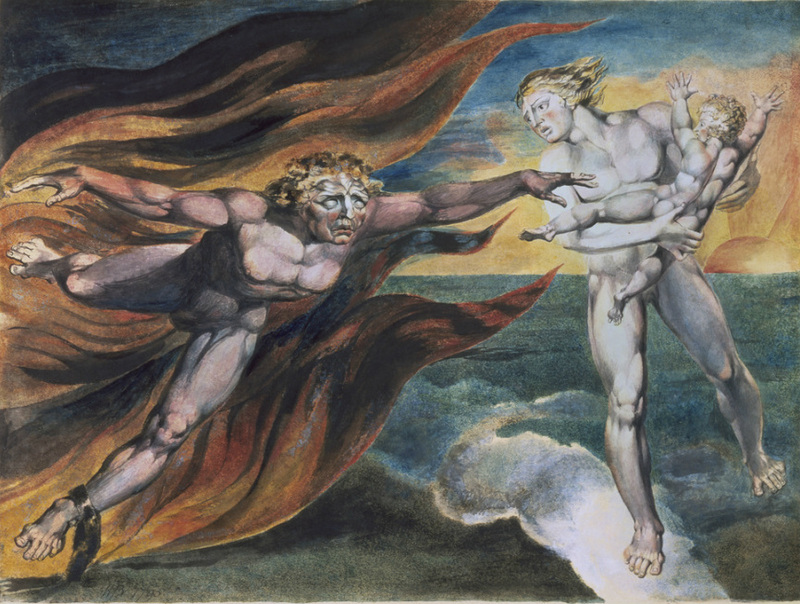 In contrast, Quayle’s analysis overlooks the possibility that giants are being held in captivity by demonic groups, but are not themselves demonic; or, at least, not the majority of them, according to Goode and Cobra’s information. For those giants that are inclined to work with the global elite, then Quayle’s analysis raises a chicken and egg problem over demonic influences when it comes to the global elite and some of the awakened stasis giants. The problem with Quayle’s analysis is that he makes the major assumption that all stasis giants are demonic in nature based solely on his interpretation of biblical texts. Consequently, he appears to tacitly support the current secret policy of locating, imprisoning and/or eliminating stasis giants, wherever they are found around the world, using elite military forces. Not only is Quayle’s analysis deficient in this regard, but he may in fact be unwittingly helping the very demonic elite groups that want to hide the majority of these giants from public view, while possibly using others in a covert plan for exerting great influence over global affairs. In conclusion, there is broad agreement between Goode, Quayle and Cobra that awakened giants are being actively sought after by elite global groups and special military forces all over the world. When captured, they are taken to secret detention facilities. Clearly, the existence of giants who have hibernated for thousands of years in stasis chambers is a matter of great public interest, as is their motivations for choosing to awaken from long periods of hibernation in the modern era. ​The information awakened stasis giants have about ancient human civilizations, advanced technologies and extraterrestrial life deserves to be publicly released as soon as possible, and not withheld to further the interest of global elites who may be seeking ways to manipulate these giant captives.